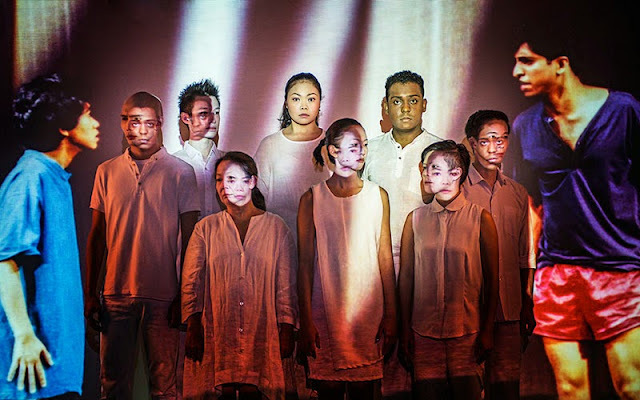 W!LD RICE’s youth development division, young & W!LD, has proven itself over the years to be a great platform for young Singapore theatre makers. The programme is currently in its fourth cohort under the mentorship of theatre practitioners Rodney Oliveiro and Serena Ho. 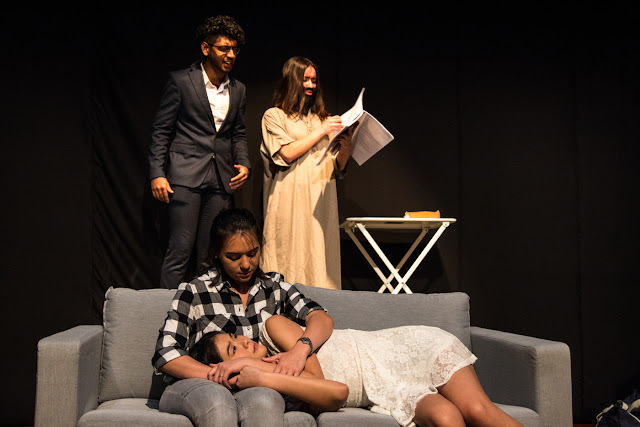 This double-bill of plays, which examines the pleasures and pains of everyday choices, is the group's first public showcase. 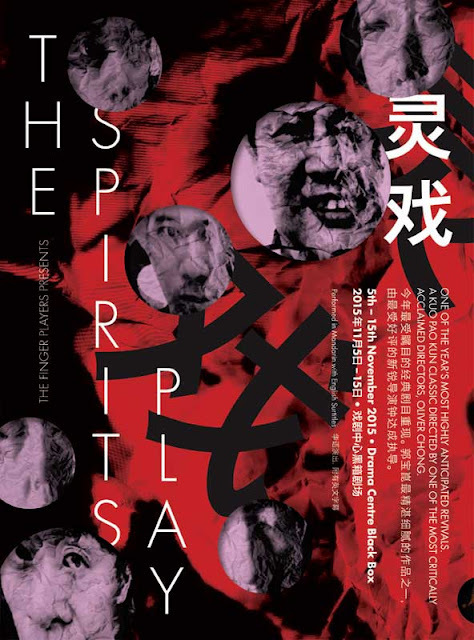 The evening opens with The Mother, The Son and The Holy Ghost (2/5), a dramedy which pits social media activist Vix (Jasmine Blundell) against an older woman suffering from dementia (Natalie Koh) whose taxi-driver son Boon (Aeron Ee) is trying to drive her into a nursing home. 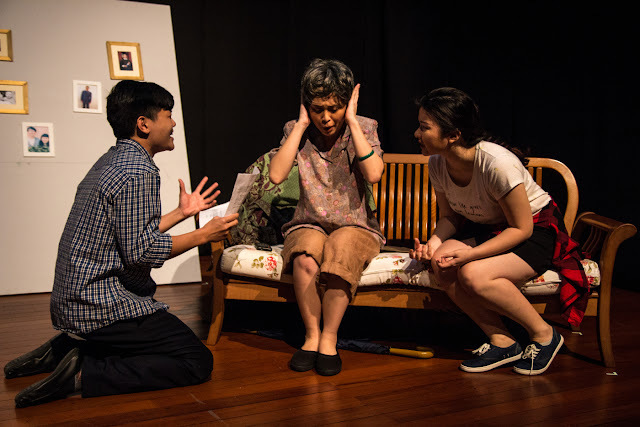 There are elements that certainly strike a chord with the audience like inter-generational conflict, modern versus traditional values and the idea of memories that seep their way into human experience. Unfortunately, the script lacks any nuance in its exploration of filial piety and failed opportunity. It also suffers from an ragged pace that grows increasingly frustrating to watch. Boon is a particular culprit and one struggles to find any redeeming qualities to the character given that Ee spends most of his time on stage being sullen and excessively shouty. The garrulous, holier-than-thou Vix also tends to outstay her welcome and all but drowns out the more passive mother character, sensitively portrayed by Koh. There is a attempt to inject some pathos towards the end but the resolution feels too abrupt to adequately round out the story. In short, this is an uneven piece that could do with a more developed script and compelling characters. In its current incarnation, it fails to sustain one's interest and feels a little too contrived for any emotions to land. The second play, Arbitrio, (3/5) is a richer and more layered offering that takes the form of a play-within-a-play. It opens with a bearded, prophet-like figure (Mel Bickham) in the midst of an unsuccessful audition. When asked if he has any new material, he offers up for consideration an original play about a newly married couple complete with his own actors, cheekily breaking the fourth wall every now and then with comments, stage directions and even a cameo. Within the world of the play itself, we quickly learn that things are far from rosy. 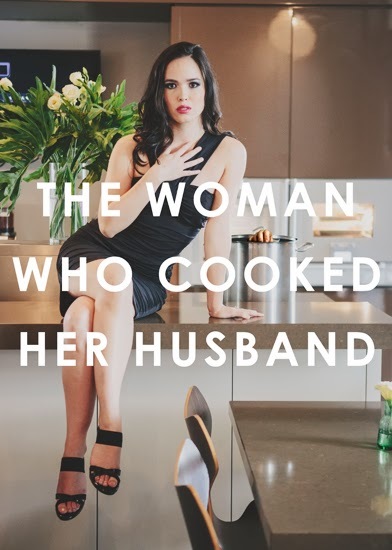 The husband is a workaholic who is revealed to be carrying on with a pregnant ex-girlfriend. Meanwhile, the wife, lonely and craving companionship, tentatively enters into a relationship with a female bookseller. There are spirited turns by Sharmaine Goh and Krish Natarajan as the central couple and Blundell as a feisty third party. The central theme seems to be that the choices one makes in life are indeed arbitrary: the wife could just as easily end up in the arms of her lesbian lover as her husband. The framing device underscores this by indicating that the events of the play unfold purely at the whims of the fickle writer-director. It also forms a great showcase for Mel Bickham, one of the strongest performers of the group, to flex her comic chops. Yet, for all its wordplay and wit, Arbitrio cannot seem to decide if it wants to be serious or purely whimsical. The narrative is weighed down by scenes which include a cheesy Bollywood dance number and a gratuitous dream sequence. There is a serviceable one-act play embedded here but it could certainly do with some editing as the overall message ends up diluted. 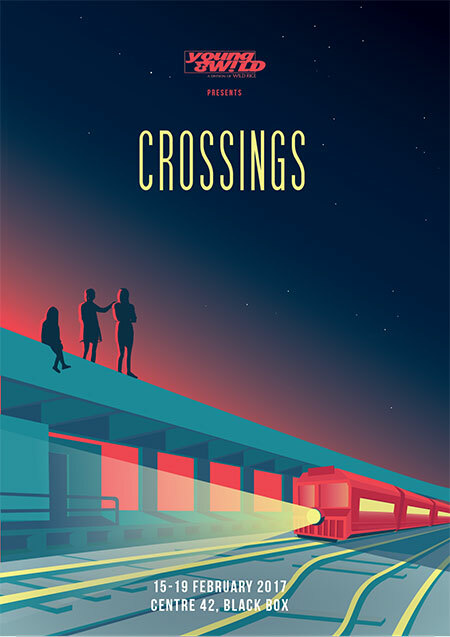 Like previous young & W!LD productions, Crossings is buoyed by an enthusiastic and earnest batch of young actors whose energy drives the evening forward. That being said, for a group that is one year into its artistic journey, the final product feels belaboured and somewhat unpolished. One looks forward to a more refined experience the next time round.